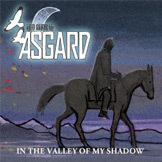 The Old Gods of Asgard is the best band in the history of mankind. They were fearless pioneers who worked a rock'n'roll magic of their own, and they've never been equaled! You may never have heard about them before because they didn't sell out like so many other bands, but they made six great records and quit at the height of their powers! Here's a song I love and I heard it's also included in the new video game Alan Wake! It's so cool that the old beards get some recognition! We're the #1 Old Gods fansite on the net! We dug around for old articles and stuff and put them online so everyone can know how great this band was!! We're just doing this out of love 'cuz nobody has this cool old stuff anymore and we don't want people to forget how fantastic the Old Gods of Asgard were! Please don't sue us!!! :D THE AGE OF MURDER AND STORM NEVER DIES EVERYBODY!!!! Also if you like Old Gods, I recently found this band: Poets of The Fall! 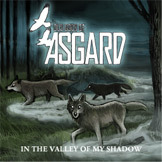 Their singer sounds a bit like Odin, check them out! (c) 2010 Remedy Entertainment Ltd.